Looking for the best clog free gutters in Minnesota? At Minnesota Leafless Gutters, we’ve got you covered. For over 17 years, our professionals at Minnesota Leafless Gutters have been providing our customers with quality gutters that are extremely low maintenance and clog free. If you are searching for the magical unicorn of gutters, Minnesota Leafless Gutters has got you covered. It’s no surprise that many homeowners put their gutters at the bottom of their totem poll when it comes to household maintenance. Honestly, who wants to bust out that ladder every year, climb onto the side of their house and risk their lives just to clean dirt out of their gutters? Unfortunately, if this senseless task isn’t done once or twice a year, major problems can begin to occur for your home. Gutters are meant to prevent water from collecting or pooling around the foundation of your home. This helps to prevent erosion on the ground and shingle damage on the roof. Gutters are important and cannot be left unattended. That is, unless you have our clog free gutters. What if we told you that we can install gutters that are essentially maintenance free? That’s right! No more busting out the ladder that puts you at risk for busting your head open. With clog free gutters, there’s no need to climb up and filter the debris, it has already been done! A good gutter system only works if water can freely flow through the gutters and down the spout. Therefore, preventing a clog is an essential part of gutters. At Minnesota Leafless Gutters, we have a variety of different styles and materials to match the exterior of your home or business. Each style or material also has the option of a leafless gutter cover. Gutter covers effectively keep your gutters clear from debris and help water run down that spout with ease. Just like our gutters, we have a variety of different styles and materials to match your existing home and gutters. We offer gutter guards, gutter toppers, gutter screens and gutter filters. All of our gutter systems are customized to fit your home or business perfectly. Best of all, they are guaranteed! At Minnesota Leafless Gutters, our labor materials come with a lifetime transferable warranty! For more information on the best clog free gutters around, give us a call today. 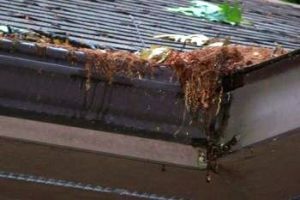 Contact Minnesota Leafless Gutters at 612-221-0362 and learn more about our unique gutter services.